Taught by expert gear failure analyst, Robert Errichello, P.E., of GEARTECH, students get the experience of the course through 11 segments consisting of a total of 10 hours of in-depth discussion of gear failure modes and supporting training documents. Gear Failure Analysis teaches students the causes of gear failure and how to prevent it from occurring. Avoiding gear failure can save thousands of dollars in repair costs! In AGMAs Gear Failure Analysis online video training, you will examine the various types of gear failure, such as overload, bending fatigue, Hertzian fatigue, wear, scuffing and cracking. Possible causes of these failures will be presented, along with some suggested ways to avoid them. Bob Errichello uses a variety of tools and methods lectures, slide presentations and Q&A sessions to give you a comprehensive understanding of the reasons for gear failure. The video presents a vast amount of knowledge not available elsewhere and is presented in a clear, well organized and easily understood manner. 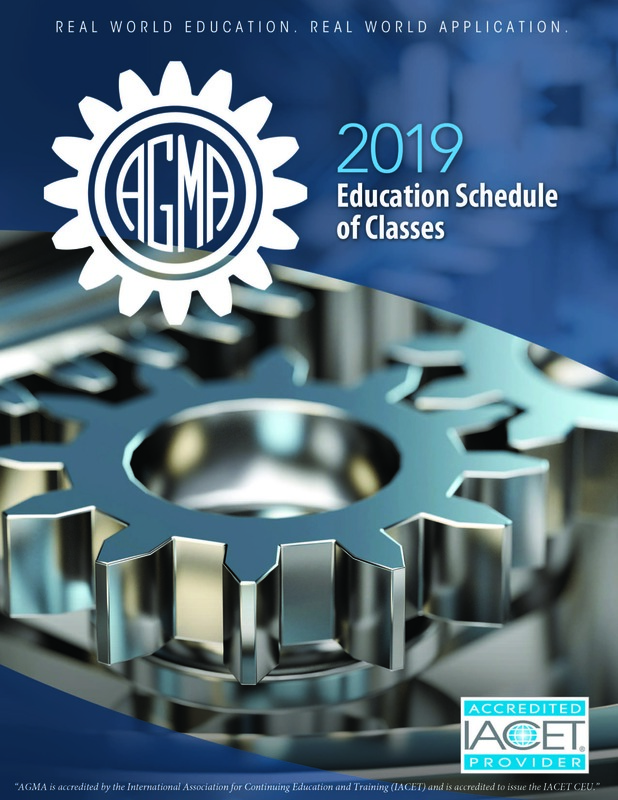 Through generous support from the AGMA Foundation, AGMA has recorded the popular Gear Failure Analysis live course for wider availability. Robert Errichello heads his own gear consulting firm, GEARTECH, and is founder of GEARTECH Software, Inc. He is a registered Professional Engineer who holds BS and MS degrees in Mechanical Engineering and a Master of Engineering degree in structural dynamics from the University of California at Berkeley. Mr. Errichello helped to introduce the world’s first gearing standard for wind turbines and is very active in AGMA standards development and nomenclature. He has extensive teaching experience and has taught college courses on machine design, fracture mechanics, vibration, and material science. He has over 40 years of industrial experience, is author of more than 60 articles on design, analysis, and application of gears, and has written three widely-used computer programs for the design and analysis of gears. Mr. Errichello is a recipient of AGMA’s prestigious Lifetime Achievement Award and an expert in Failure Analysis.